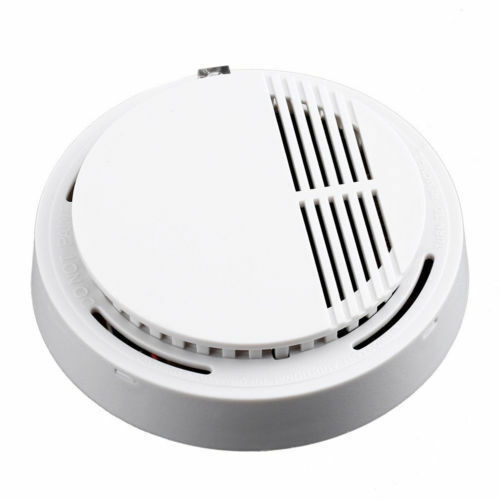 The smoke alarm shall be a Styleline designTM (1-1/8" high, 4" wide), powered by a 9 V DC, battery power source and a dual ionization sensing chamber and sealed housing with a separate metal mounting bracket. The alarm shall produce two short chirps approximately 2 seconds apart at the conclusion of the desensitized period. 100% solid state alarm circuits over an input range of 7-10 V DC. A power on indicator shall be a built-in light emitting diode which "blinks" once per minute in the standby condition. A 30 day low battery signal shall be included for added safety. The test switch shall electronically activate the chamber to simulate smoke and check for proper operation. The 462 shall meet the requirements of U.L. Standard 217. Established in the year 1994, we are empowered to put forth a comprehensive range of Fire Safety Equipment. Our product line includes Hose Reel, Delivery Hose Coupling, Nozzle & Branch Pipe, Fire Hose Cabinet, Extinguishers Box, Fire Hose Pipe, Suction Collecting Head and Hydrants & Sprinklers. Apart from these products, we also offer Analysis and Evaluation of Fire Risks, Supply, Installation and Commissioning of the Equipment. Our products require less maintenance, are highly durable & reliable, easy to use and resistant to corrosion. All the products designed and fabricated by us are at par with the international standards. To attain highest level of client satisfaction, we make available customized designs for our clients. The never ending support of our professionals has backed us in standing firm during all tests of time. Being a highly reliable name, our products are widely used in all types of heavy industries. Our clients across the national and overseas markets have been in making business deals with us for over the years.